One of our most romantic! 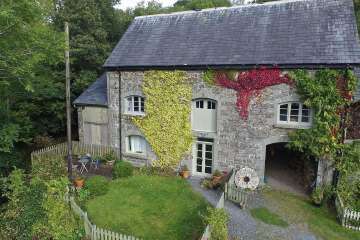 Melin Argoed is a stone built Victorian converted mill enjoying a peaceful location in the beautiful upper Wye valley. Spend your days here next to the waterfall, your balcony over-looking the ‘wheel race’. The interior is spacious for two and unashamedly romantic. 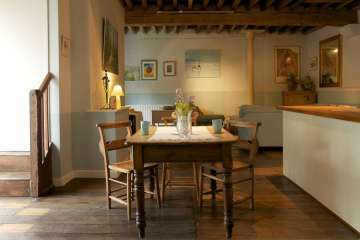 You'll find original art on every wall, comfortable sofas, and a cosy modern wood-burning stove. 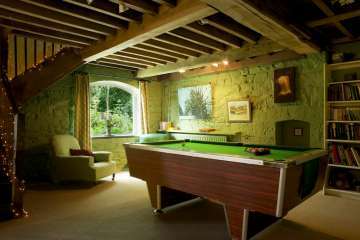 Spot kingfishers, dippers and otters from your balcony, play pool on your own pool table in the den. Argoed is a fine retreat for lovers, walkers, artists, fishermen and budding pool champions alike. 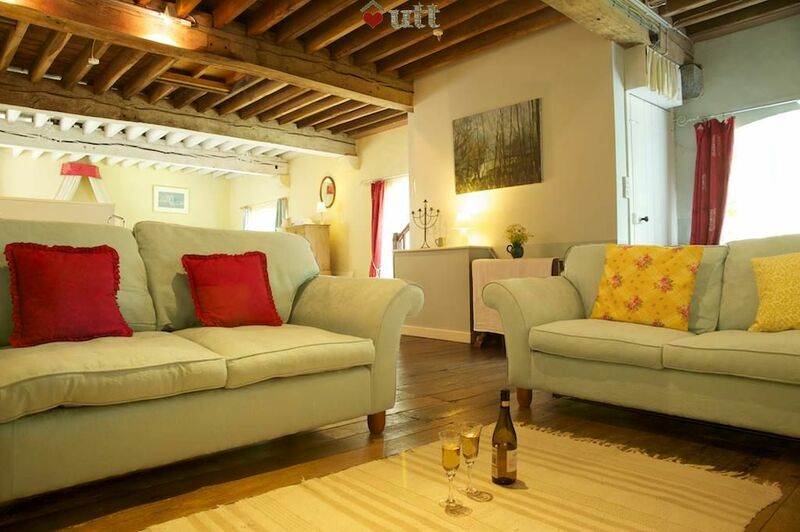 The artist owners live just next door in the mill cottage, but you have plenty of space and your own private garden. You also have a hot tub and pool table. Bus stop at end of drive, trains to Llandrindod Wells or Caersws. The mill is fully centrally heated and has a woodburning stove in the living area. Spacious, open plan living, kitchen and dining area with two steps leading up to bedroom. "Den" with pool table, comfortable armchairs & books. CD player with iPod dock. Hot-Tub with a waterfall view! Llandrindod Wells (Victorian spa town) - 10 mins. River Wye (fishing, swimming etc) - 100 yards! Hay on Wye (books, art, food) - 30 mins. Canoeing on the Wye - 30 mins. 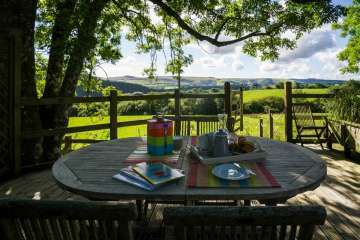 nestled in the beautiful rolling hills of Powys..
A fantastic mini break. Deb had kindly lit the fire ready for our cold evening arrival. This is such a relaxing place to stay. The hot tub by the gushing icy waterfall was a special touch. We spent the days walking in the elan valley and greatly enjoyed coming back and sitting by the fire flicking through the art books. Had some fun playing pool too. It had everything we had hoped for and we hope to go back next winter. Several people have commented on the close proximity to the A road. For us it wasn't an issue as it made it easily accessible despite the icey weather. Also we couldn't hear it at all in the cottage or when using the hot tub. 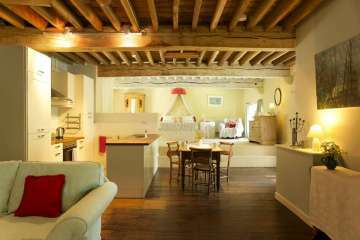 Very Enjoyable Stay, the Mill has a rustic charm with a mix of modern facilities to make your stay relaxing and peaceful. perfect for a couple, log burner was a treat with plenty of logs, pool table was perfect, if you want to do nothing but relax stay here...Weather was a bit unkind to us so did not use the hottub, went to do a couple of walks around the Elan Valley again weather was against us as we wanted a pleasant walk as apposed to a Challenge. Bed Was lovely, and kitchen utilities excellent. Waterfall and stream and surrounding area lovely.A lovely property to stay in!! We have found our ‘happy place’. A perfect few days of walks, sitting by the fire, puzzles and relaxing in the hot tub. We didn’t want to leave and will certainly be back. Highly recommend! We had an amazing time recently at the Argoed Mill. Lovely hosts, perfect location, it has everything. The hot tub and pool table made the trip extra special. Can’t wait to return. Stay here, you won’t regret it! Beautiful stay and perfect for our first trip away as a family of three! The hot tub and pool table meant we could relax in the evenings with baby nearby. The accommodation was very special and the location excellent, a real hidden gem of a place! Fantastic break away. Great location easy to get to and close to local amenities and great walks. Owner was very friendly but also left us to it which was great. Breathtaking property and bed was super comfy with quality bedding. No need to leave the property enjoyed playing pool and the hot tub. Private grounds with amazing views with its location next to the waterfall. We appreciated the little touches that the owner thought of i.e. Box to use near hit tub to store your towels. Fire was cosy with plenty of wood provided. Loved our stay. Lovely cottage - comfy bed, great hot tub and pretty waterfall. Fantastic beach at Borth which was well worth driving to. Also had a lovely day out at Hay on Wye and Brecon. We absolutely loved Argoed Mill. The owner, Debs, who made us feel very welcome, has created a beautiful rustic, romantic retreat that was a delight to spend a rare couple of nights away from parental duties in. We'd love to return to spend more time at the Mill in the future if we can. 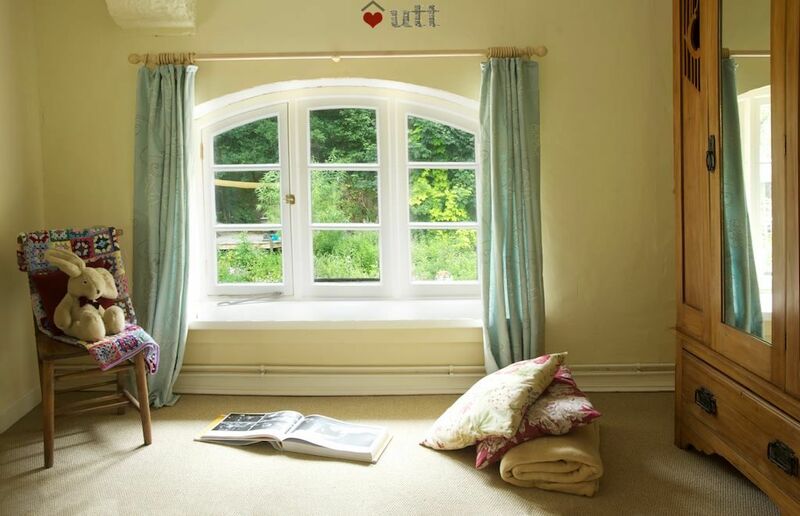 This is one of the loveliest places we've ever stayed in the UK. 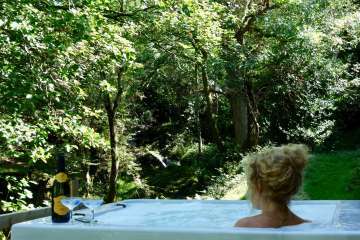 The hot tub has the obvious wow factor, situated right by a waterfall and rushing stream, with birds flitting through the trees and lambs coming down to the stream to drink. But everywhere you look at Argoed Mill, inside and out, there is something beautiful. The blissfully comfy bed, the clawfoot bath, the fantastic collection of books in the comfortable den, the paintings, the pool table, the little scrubbed oak table with afternoon and evening sun pouring in from the full-length open window... And we didn't even get to try the cosy woodburner (as it was gloriously warm all weekend). It all adds up to a swooningly romantic and very special place. Debs, the owner, doesn't interfere but is friendly, kind, interesting, and there if you need her. The surrounding countryside is beautiful and relatively empty of people. We're already planning our next visit. Great place to unwind. The hot tub is the star. It's located next to a stream with a waterfall with lots of wildlife all around. We preferred daytime to night time but best was getting in when it's light and getting out when it's dark! Beats any garden or rooftop hot tubs we've sat in. The accommodation is very open plan and yet extremely cosy as the wood burner kicks out lots of heat. Deb was very responsive but otherwise left us alone after saying hello, which is just how we like it. Lots to do near by. Really glad we chose to stay here. A very enjoyable last minute holiday in this unique setting. 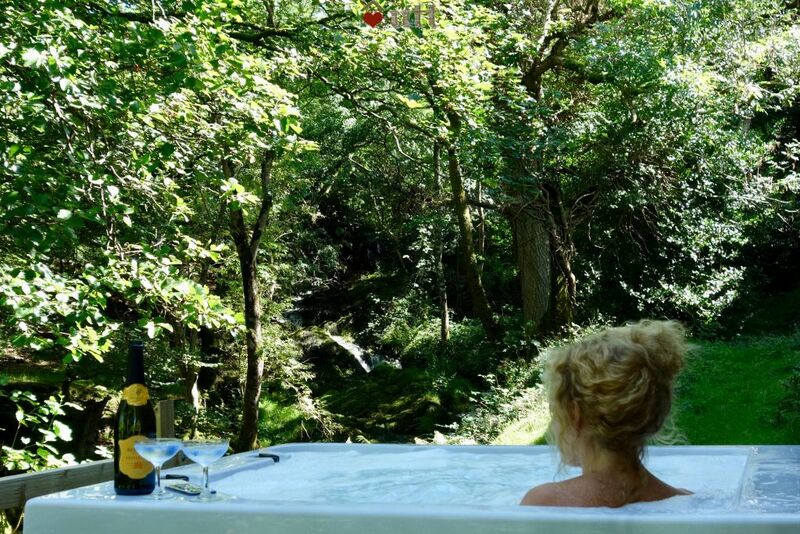 Sitting in the hot tub with the waterfalls rushing by, prosecco in hand...........!!! Really beautiful space and especially amazing lying in the hot tub listening to the waterfall. We were very well looked after and will definitely visit again . We had a wonderful three nights at the mill. The tub location is great next to the stream and many hours were also spent in the pool table/chillout room and by the woodburner. Walking around the Elan Valley reservoirs was just stunning with all of the autumn colours, mossy woodlands and the roar of the dams overflowing. Will definitely try and get back next year for another stay. Our three night stay at Argoed Mill flew by - it is such a pretty place and so cosy and relaxing. Day time walks along the Wye Valley and evenings spent playing pool and curled up on the comfy sofas by the wood-burning stove were absolute bliss. 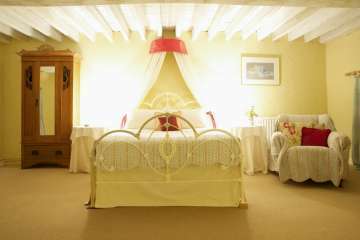 We had a relaxing stay at this fabulously appointed spacious accommodation. 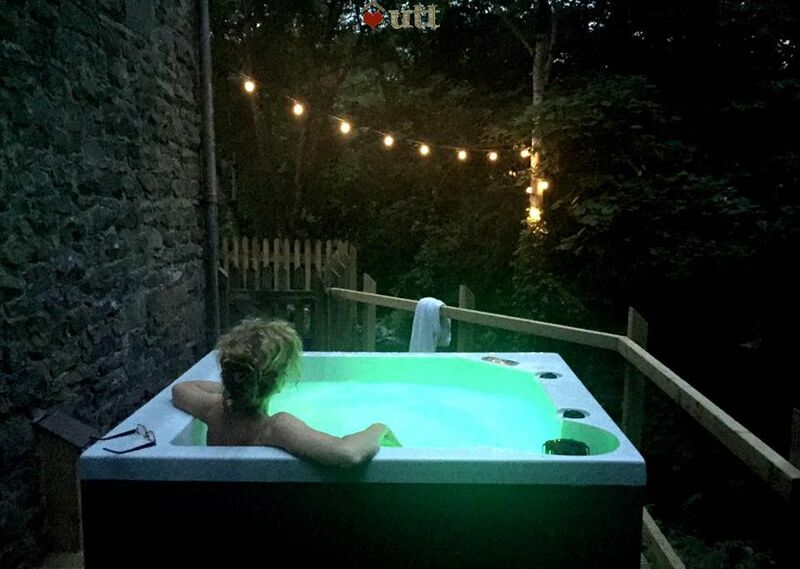 The addition of a hot tub after we had made our booking was an absolute bonus and just the thing to take advantage of the fabulous woodland view. We hope to return soon. Just back from a lovely break in Argoed Mill. Beautiful place with interesting decor and surroundings.Hot tub was amazing! Our stay at Argoed Mill could not have been more perfect. A wonderful rural retreat set in stunning scenery with unique, romantic and cosy accommodation. A very warm welcome from Deb and Tim and our dog 'Alan' happily settled in to his home from home for the week. We enjoyed the tranquillity and the beauty of the place and will definitely be returning!!! We had a very relaxing mini-moon in this cosy place. Pool table. Hot tub. Comfy bed. Wood burner. All we needed for a chilled out few days. Well situated for days out (Hay on Wye, Borth beach) and local beauty spots - Elan Valley (amazing at night - dark sky park worth a drive out to). I liked the no phone signal/no wifi too - nice to switch off. We had a delightful time at Argoed Mill. 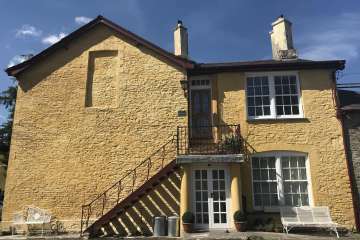 The location of the Mill is great as it is easy to find but surrounded by beautiful countryside including a stream and waterfall just to the side of the Mill and is right next to the jacuzzi. 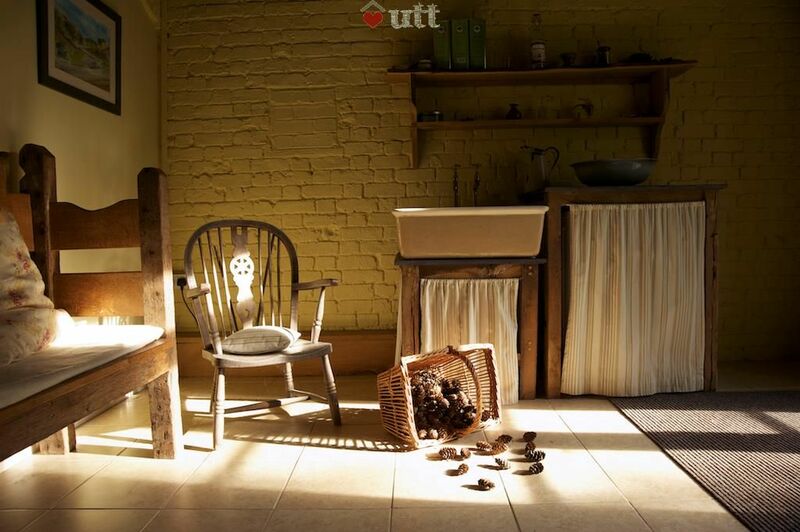 The Mill itself is great, the natural light is amazing and it has huge amount of rustic charm. The log fire, the pool table, the roll top bath and just the general ambiance of the place all add together to make for a truly special experience. Deb was very friendly and welcoming and even managed to dig out a book from her own collection she thought would interest me. Thank you Deb! There is plenty to do around the surrounding area if you like places of natural beauty and wonder but even staying in the mill would have been a joy. Highly recommended. We will be returning! Lovely home from home. Beautiful building, loved the decor, the stream and the pool table! Lots of great books to keep you occupied :) The road can be a bit noisy, mainly by day. Elan Valley and Hay on Wye only a short journey away and both well worth visiting for the day for walks and books! 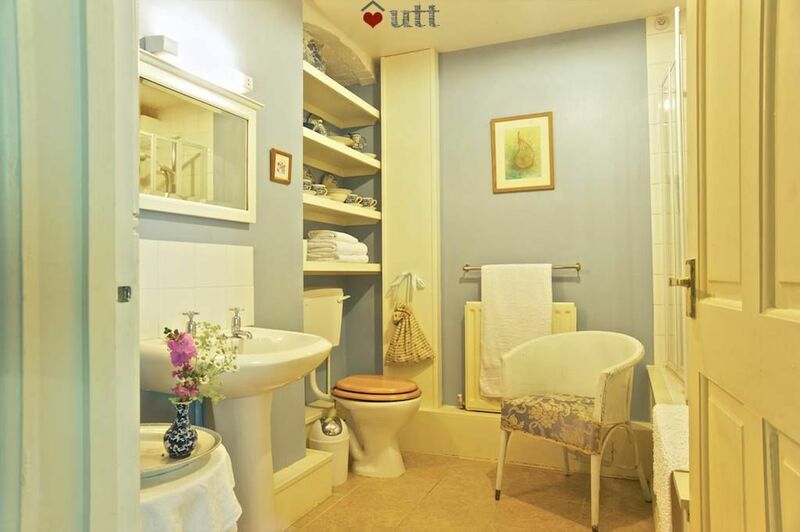 What a perfect place to really unwind - so charmingly kitted-out. We loved the open-plan arrangements and the lovely touch of the bath in the bedroom area. We both slept so well too. The break was over too quickly but came home feeling truly refreshed! Thank you! Beautiful peaceful location, plenty of room, excellent facilities, spotlessly clean . Friendly owners , would definitely recommend. It was a great place for two people. We loved the space and the pool table downstairs. Beautiful location and Debs was a great hostess. A beautiful, romantic cottage. We had a very relaxing long weekend with terrible weather but we managed to get out on our bikes to the gorgeous Elan Valley trail which is only 10 minutes away. I'm much better at pool now than when we arrived. What a fantastic place to stay! Deb was really lovely and the mill was incredible, a superb old building that has been done up very tastefully. The whole place is spacious, relaxing and comfortable. The claw-foot bath and wood-burning stove were particular favourites, and we made very good use of the pool table! 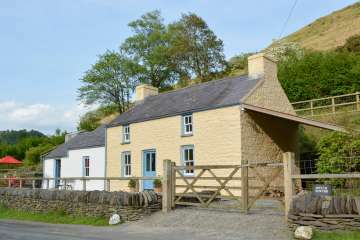 It's in a fantastic location near the Elan valley. I would highly reccommend the Argoed Mill to anyone looking for a luxurious and tranquil break! We had a fantastic time at Argoed Mill. 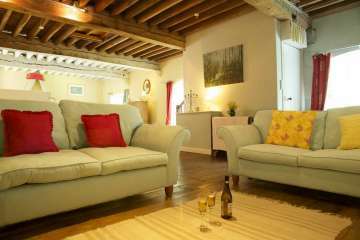 The mill is fantastic and very relaxing; with pool table, comfortable bed, and all beautifully decorated and maintained. The countryside around is beautiful, with Elan Valley a particular highlight! Our second visit to this beautiful place and we enjoyed it as much as the first time (perhaps more?) The conversion is large and attractive, the bed is the most comfortable I've ever slept on, the sound of the water gushing past is relaxing and every part of the place is relaxing and comfortable. We loved reading in front of the woodburner, wallowing in the deep bath by the window, visiting the Elan Valley and Hay on Wye and just enjoying a few days of a slower pace of life. I'm sure we'll be back. 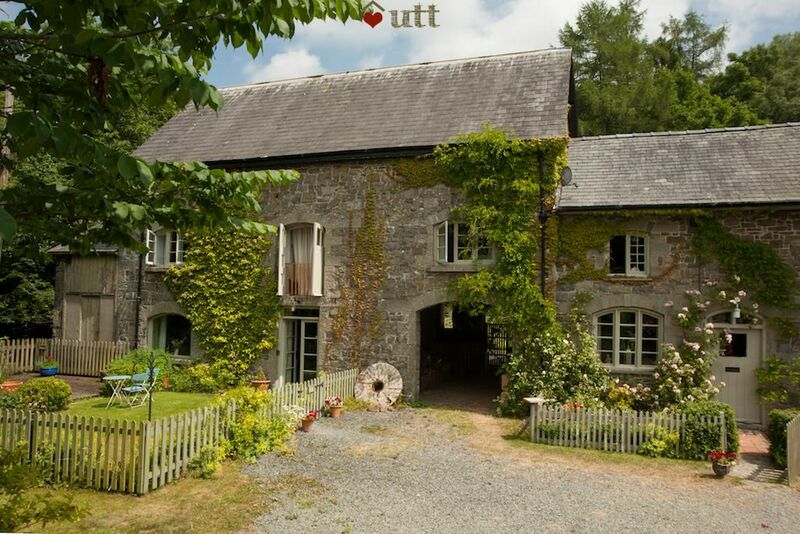 A great place for a romantic break in a sympathetically converted mill.With plenty of space to relax,cook,bathe play pool or watch the fire.Owners very friendly,dogs,ponies and the cat just as lovely.Good location for visiting holiday spots and towns in the area. We will most definitely be back. Thank's for a lovely long weekend. We had a wonderful stay at Argoed Mill. The cottage was beautiful and we enjoyed the log fire and pool table. It's a lovely area for walking and canoeing. We had an amazing time here! We came for our honeymoon and it was perfect, the house is gorgeous and the bath tub is great. the owners were lovely, and we enjoyed spending time with them and all of the animals. Would love to come again! Our second time visiting Argoed Mill was just as incredible, if not even more so. The perfect place to relax, share some quality time and to explore the amazing surrounding countryside, the Mill has become our favourite place to holiday. The new bath is huge and luxurious, the bed is super comfy and the whole place is just beautiful. Tim and Debs are so lovely and friendly too. We'll definitely be going back a third time - and a fourth, a fifth, and so on! The location of this cottage is perfect. Right next to a waterfall so the relaxing sound of the water can be heard through the window and balcony. You can sit outside on the patio listening to the water and the birds tweeting. The odd bonus of a red kite soaring over or even a miltary jet flying low through the valley for a bit of excitement. 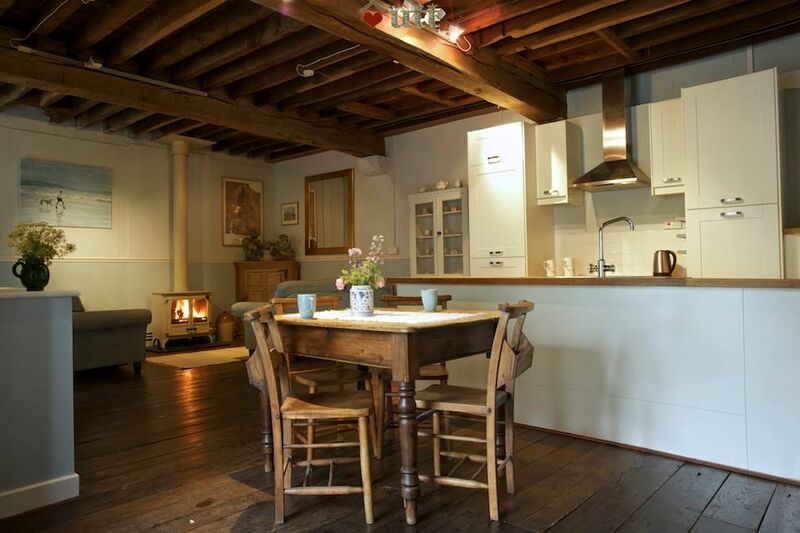 The mill itself is beautiful with wooden floors and beamed ceilings, beautifully decorated and furnished. The log fire is great for setting the romantic mood. The bed is soooo comfortable and snug. There is plenty to do nearby from the red kite feeding station to the 7 dams/reservoirs or the Brecon Beacons if you fancy a day out. I will definately be returning here for a romantic break or just to unwind. What a lovely and relaxing place to stay - it was so very hard to leave. We had everything we needed, including the most comfortable bed ever! The area is fantastic for walking, as the views are outstanding in this beautiful part of Wales. We had a lovely relaxing stay at this beautiful cottage :) It had everything you need for a great stay. We enjoyed playing pool & enjoying the log fire. We will be visiting again! We had a great stay in this charming little property. Love the way it has been sympathetically renovated, and the open plan layout was perfect for us. 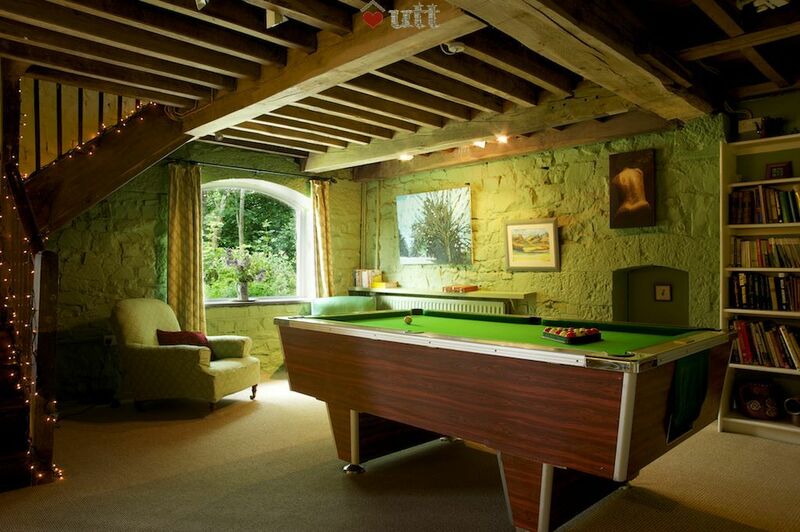 Unfortunately we didn't get to use the log burner as it was too warm but the pool table got it's fair share of use! Great location in the middle of the Welsh hills, with lots of walks, activities, pubs and views that kept us entertained for the duration of our stay. Hope to visit again! Debs met us as we arrived and was very warm and welcoming. The mill is so lovely and of course the pool table, huge bath, lovely log burner and unbelievably comfy bed made our honeymoon. The setting is idyllic and having our own personal waterfall was the cherry on the cake. Lovely walks to and around the dams as well as closer by along the river. Thank you for sharing the mill with us, it was an escape and just what we wanted. What a relaxing, peaceful and beautifully converted Mill to take a break in. The environment immediately helped us leave our busy lives behind and with the waterfall cascading behind the Mill we were transported in to blissful holiday mode. We didn't know the surrounding area but were blown away with it's beauty and stunning views. A delightful place to visit and would strongly recommend a stay. We had an amazing time at Argoed Mill, the cottage is beautifully decorated, comfortable and private, there's plenty to do around the area (amazing walks, rivers, lakes, forests) and inside the cottage (pool table, dvds, board games, books). The location is perfect, with a small waterfall right in your backyard. We hope to stay there again! Cosy, warm, relaxing, bliss... A lovely place to recuperate and unwind! The comfiest bed I've ever stayed in and the bath is spectacular! Thank you for a wonderful stay. 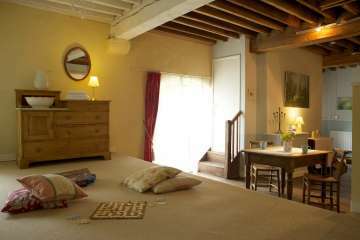 The Mill is so cosy and comfy and warm, it's true about the bed - it really is the comfiest bed I've ever slept in! Loved the pool table, the library, the bath, the fire, the bed, the big sofas, the peace and quiet, the area, just everything. And, bonus, a dishwasher! Amazing. Thank you thank you thank you, From Joey and Simpson. Argoed Mill was the perfect place to celebrate a 40th birthday. 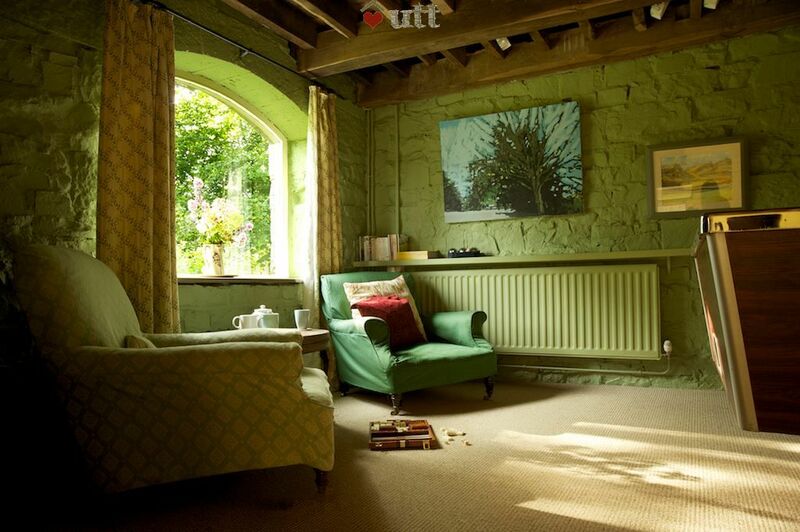 Cosy, quirky and relaxing. The log burner, comfy bed and deep bath all helped to unwind. The weather was awful but it really didn't matter. A gem of a property. This was a truly wonderful place to relax and unwind. The photos don't do it justice. It has the real wow factor when you get up the stairs. The bed is seriously comfortable, and so is the roll top bath! With plenty to do in the local area you can enjoy the cosy nights in front of the log fire, or go for an adventure in the wonderful Welsh countryside. Our highlight was the Elan Valley walk, which we picked up in Rhayader. Would highly recommend and we will definitely be back again!! What a lovely and relaxing place to stay! 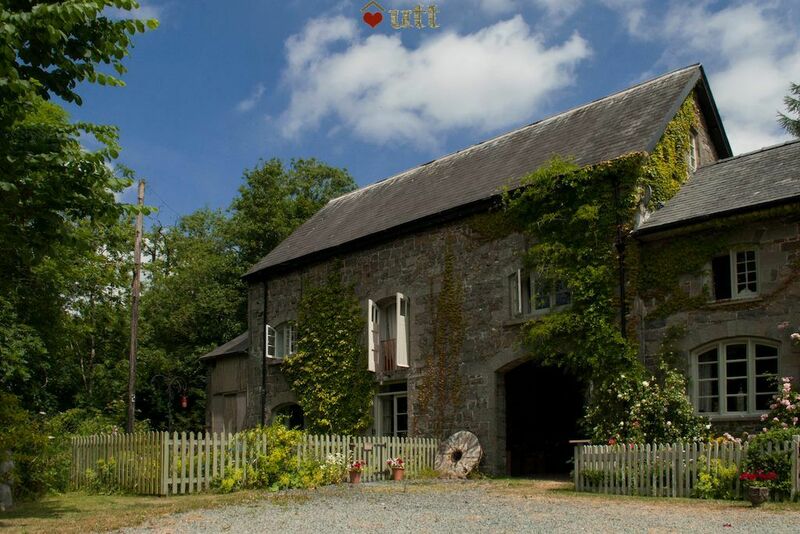 The location was ideal, the pool table and bath were brilliant to have and we would definitely recommend Argoed Mill to all our friends and family. Thank you. 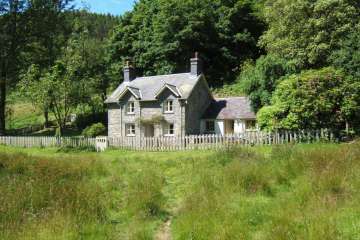 A secluded haven....the perfect location for a much needed break and a beautifully presented cottage. All of the little touches make it such a romantic and peaceful stay. 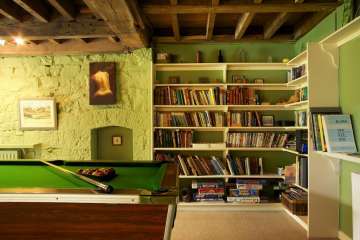 The downstairs of the property has a pool table along with wall to wall book shelves and tourist information leaflets. So useful when planning where to go. 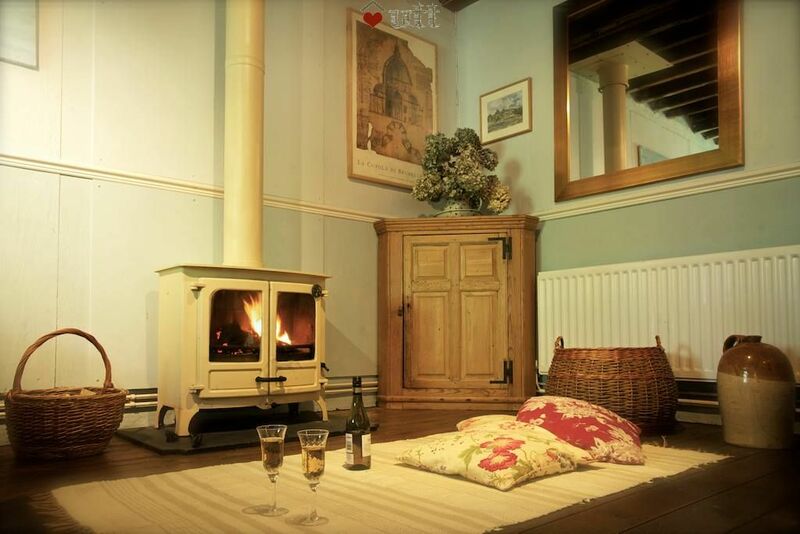 Upstairs is just magnificent - a log burner, fully equipped kitchen, the most comfortable bed we have ever slept in and also a roll top bath in the bedroom. Listening to the howling wind and rain outside whilst cwtched up with a glass of red is pure bliss. Our first Argoed Mill visit definitely won't be our last. Beautiful accommodation, we managed to pick a week with awful weather but it certainly wasn't a chore enjoying all the mill has to offer - the pool table, the log burner, the glorious bath! Would highly recommend to anyone looking for a relaxing break. Really lovely relaxing break. Argoed mill is beautifully decorated and the bath an added bonus after exploring the surrounding area. Deb made us feel very welcome. Will definitely be returning soon. 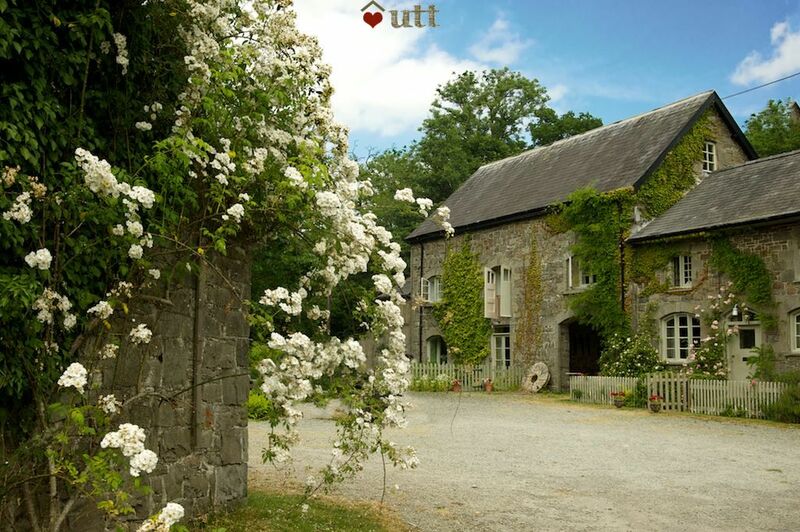 My husband and I absolutely loved our weekend at Argoed Mill, it was perfect for a romantic weekend away. We loved spending the evenings in front of the fire and playing countless games of pool in the library/games room. The bath in the bedroom was a real feature, it was lovely to come back to after walking the beautiful walks in the Elan valley (highly recommended, the views are spectacular) We also couldn't believe how comfy the bed is! we even searched for a label on the mattress so we would try and buy one like it for our home! After putting photos of our weekend up on facebook, we have loads of people contacting us asking where we went as it looked amazing! 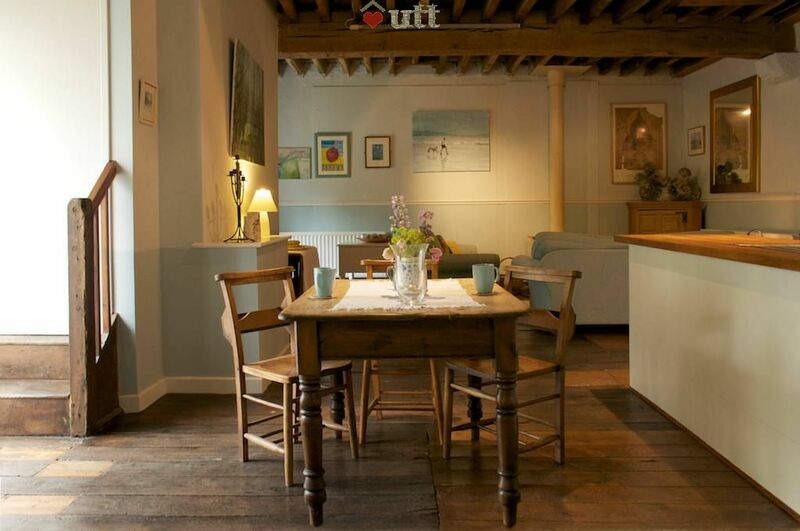 We couldn't recommend this quirky little place enough! :) we love to go back some time! The cottage was lovely - almost perfect. Despite the living/sleeping arrangements being one open plan space, it still felt cosy and yet spacious, with just the right balance of 'cottagey' comfort - the sofas were very comfy - and mod-cons (modern kitchen area with everything you need). All this is on the first floor, with the main bathroom and toilet on the ground floor - a little bit of a trek if you need to go in the middle of the night, but probably worth it for the extra space in the living area. The original artwork all over the walls is also a nice touch. The use of the downstairs room as a sort of snug/library/games room is absolute genius - I finally learnt to play pool (badly) and we spent several happy hours down there working our way through the CD collection and having a laugh over the pool table, such a nice change from watching telly or being on-line. There is no WiFi, which my other half was a bit uncertain about, but in the end I think he appreciated the change for a couple of days, and anyway he got to beat me at pool! Our only suggestion would be one more side/table lamp in the main lounge area - so that in the evenings you can turn off all the other lights and just have the lounge lit. But that might just be us. Would love to come back for a longer stay as we didn't get much time to explore (although Rhayader is a lovely little place). We had a wonderful stay at Argoed Mill. Thank you. A lovely cottage in a lovely area! 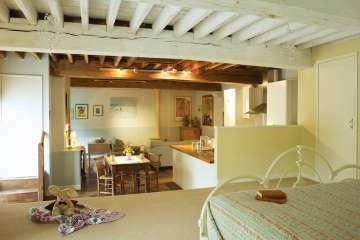 The cottage was wonderfully decorated and furnished, and the bed and bath were the cherry on top. The surrounding area was breath-taking - a perfect place for a complete get away! We had a lovely week in the mill. It is a great place to stay as a couple and to get away from it all for a bit. The bath is great, as is the amazing wood burner, we definitely recommend going in September/October time to catch the Autumn colours but still chilly enough for a fire. The owners are lovely, and happy to leave you be, or chat as much as you like. We recommend visiting the Hafren forest and the dams, it's such beautiful country. 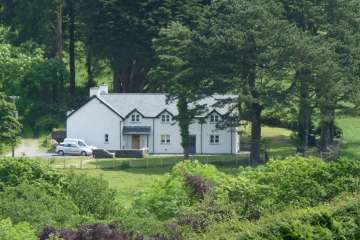 One thing we felt needed saying was that the property is literally just on the A470 road, so there is traffic noise in the day, which dies off at night. It was just a bit of a shock when we arrived as we expected something off the beaten track. You don't notice in the property though, and the comforts of the place and surroundings really make up for it. Debs was lovely and very friendly, nothing was too much trouble without being over bearing. She really helped make it a lovely break. The accommodation was great and an excellent base from which to explore Wales. 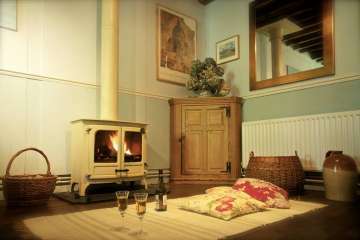 We loved the wood burner which made the room lovely and toasty - can't wait to come back! We had a wonderful time exploring the area around Argoed Mill. The hosts were lovely and the accommodation was cosy and comfortable. We look forward to making a trip back in the future. 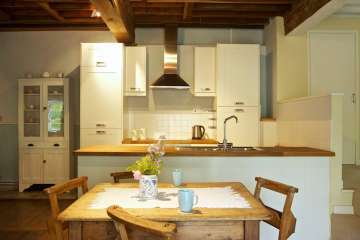 Really beautiful cottage, lovely living space and felt exceedingly relaxing - after 2 weeks we were very refreshed! Cute enclosed (and completely dog proof) garden, which our dog loved. 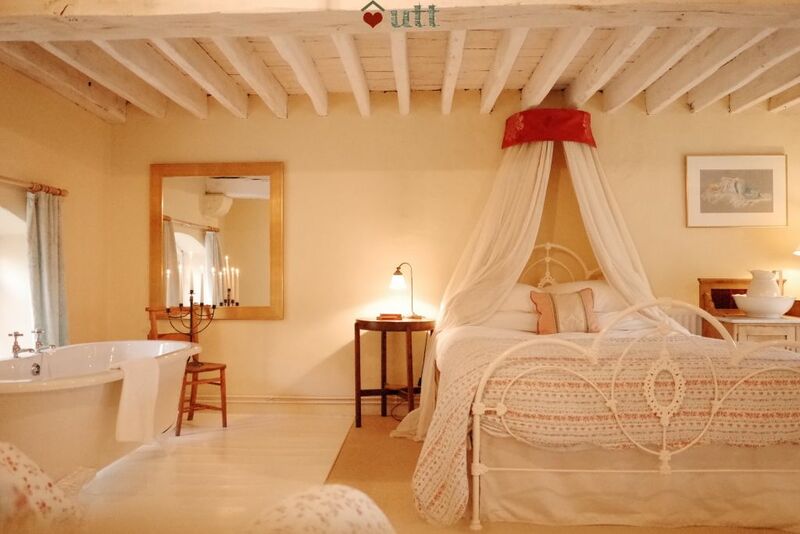 The huge bath by the bed is a real treat, and the wood-burner (which we didn't use in August!) looks great too and I can imagine this would be an amazing retreat in winter. Good fun having a pool table too! A couple of minor reflections are that 1) if you are seeking true tranquility this cottage is just off the A470 main road and this does produce some noise, especially during the day - its not obtrusive but is there, and 2) it is not really possible to walk from the cottage given its location on a busy road - but there are lots of lovely walks within a 10 minute drive. Overall we loved this place and would certainly recommend! This is the second time we have stayed at this property and it won't be the last. Idyllic setting, wonderful hosts and warm enough weather for a spot of wild swimming. Who could ask for more? I would wholeheartedly recommend Argoed Mill to anyone looking to escape to Wales. This is a great retreat. The bedroom bath is a real treat! We absolutely fell in love with Argoed Mill. Such a beautiful property in a stunning location. We spent two nights away without our toddler and was a great place to reconnect. The waterfall running past the property was an added bonus, and we spent some relaxing evenings playing pool in the room downstairs. I can not wait to revisit this property.